Workman’s compensation is a type of insurance that employers purchase to cover employment-related injuries and illnesses. Below answers basic questions about workman’s compensation and why it’s so important. All states require employers to carry some type of workman’s compensation insurance, which is also referred to as workers’ comp or workers’ compensation. These programs legally mandate employers to carry minimum levels of insurance and make payments to employees who are injured while on the job. Every state has its own workman’s compensation insurance program, which are either public or private organizations. The federal Department of Labor oversees state-level programs and works with OSHA to ensure worker safety and well-being. Workman’s compensation was created to protect both employees and employers. Many years ago, workers who were injured on the job often had to sue their employers to get help get their medical expenses covered. Nowadays, injured workers are guaranteed compensation for the injuries by the State. Employees who develop chronic illnesses from working in adverse working conditions are also covered under workman’s compensation. 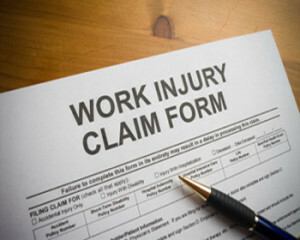 Employers benefit because workman’s compensation insurance prevents employees from suing for the injuries or illnesses. Thus, workman’s compensation insurance replaces legal liability with no-fault insurance. Workman’s compensation insurance is designed to cover injuries that result from accidents or carelessness. There is a broad range of injuries, illnesses and situations that are covered, but there are certain limitations. For example, some states require all injured employees to receive on-site drug and alcohol testing. If the test is positive, then the state may deny the employee workman’s compensation claim in defense of the employer. Sometimes, compensation may be denied if the injuries were intentional or if the employee violated major laws or company policies. To illustrate, an employee who fools around while operating a forklift may be denied both workman’s compensation and unemployment benefits. For most injuries, workman’s compensation insurance will cover replacement income, disability compensation for permanent injuries and costs related to retraining and medical expenses. Almost all employees must provide workman’s compensation insurance, but some states usually exclude certain types of workers. These include volunteers, business owners, farm laborers, casual workers and independent contractors. For instance, sole proprietors are generally not required to cover themselves. Landscape or construction partners are exempt, unless all partners are related to each other. Manual laborers who are employed by private home owners, such as cleaners and home aides, are not covered. If employees earn less than $500 within any 30-day period, then the employee is considered to be “casual labor” and not covered. Certain some states do not enforce the workman’s compensation program on employers who only less than three to five employees. Federal employees are not covered by the state, but fall under the federal government’s insurance program. Workman’s compensation programs provide critical legal protection and insurance coverage to both employers and employees.